Leeds United had commenced the Fifties as a club full of promise under the charismatic leadership of manager Major Frank Buckley and boasted one of the most exciting talents in the British game in the legendary John Charles. However, as the decade drew to a close, things had started to fall into decline at the Yorkshire club. 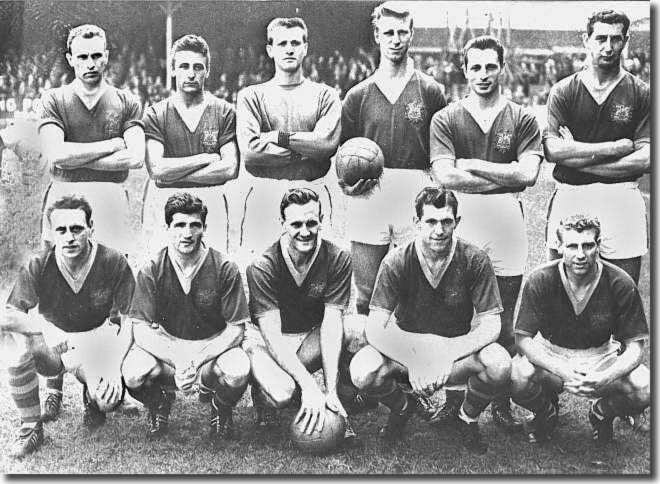 They had managed to regain their First Division status in 1956, but Charles had long since gone and the club had endured an unfortunate period under the ill fated and short lived regime of Bill Lambton when Jack Taylor arrived at the club in May 1959 to try and resurrect their fortunes. Lambton's time in charge had lasted less than a year, and for all but three months of that time he had held the title only of acting manager. United had become a laughing stock under an inexperienced manager and the playing staff had lost both spirit and discipline. It was into this environment that Yorkshire born Jack Taylor, late of Queens Park Rangers, walked, third choice for the job and faced with one of the most poisonous of chalices. He could have been forgiven for having second thoughts about the challenge. 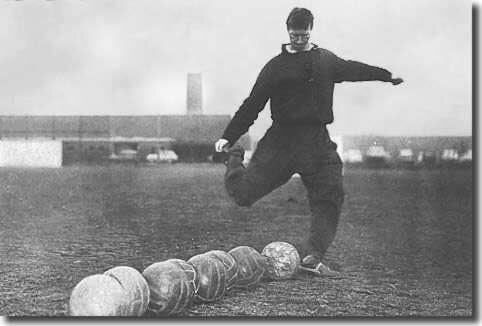 Jack Taylor was born in Barnsley in February 1914 and took up football at an early age. He played for local junior side Worborough Bridge and was taken onto the ground staff at Wolves in 1931. He enjoyed success at Molineux in the Thirties, forming a fine full back partnership with his brother Frank in the promising side built by Major Frank Buckley. Taylor moved on before the War to Norwich City, before playing for Barnsley and Watford during the conflict. He rejoined Frank Buckley in July 1947 when he signed for Hull City, where he ended his playing days under another future Leeds United manager, Raich Carter. 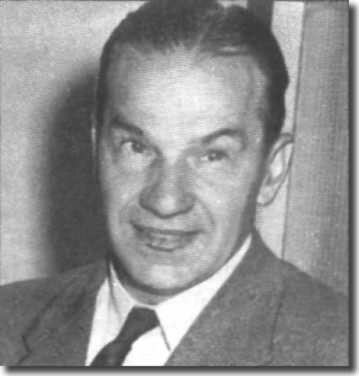 When Taylor hung up his boots he went into management, serving his apprenticeship at Weymouth in the Southern League and doing well enough to attract the attention of Queens Park Rangers when they were looking to appoint a new manager in June 1952, after finishing bottom of the Third Division (South). He took over from former Leeds United forward Dave Mangnall and remained at the London club for seven years, without setting any fires alight. He proved a solid enough manager, however, eventually steering Rangers to mid table finishes after a number of battles against finishing at the bottom again. It was noticeable that he often picked up recruits from the Leeds area. Bill Lambton parted company with Leeds United in February 1959, claiming that there had been interference with his training methods, and Taylor eventually took control at Elland Road after an unsettled period during which chairman Sam Bolton sought to make an appointment. Arthur Turner, manager of Headington United, was approached and was favourite to take over but changed his mind at the last minute. Former Leeds captain Tommy Burden was also offered the post, and again turned it down, leaving the way clear for Taylor to step in. His first task was to seal the departure of two of the club's stalwarts, Jimmy Dunn and Eric Kerfoot, which could have turned the crowd against him as the two were long serving favourites. But they had reached the twilight of their careers and centre half Jack Charlton, at least, welcomed the arrival of the new regime: "We got a manager called Jack Taylor, and his brother Frank joined the club as coach. In those days managers didn't wear track suits, but Frank did. He was the first guy who ever took me out on a pitch and taught me how to kick a ball properly - following it through, keeping it low, chipping balls, that sort of thing. One thing he did was to lay down two bricks and place the ball between them, then ask you to run up and hit it full on. You soon learned to keep your eye on the ball! I could talk to the Taylors about the game, and suddenly I felt I had kindred spirits within the club. But the other players didn't respond well to the new approach. Their general attitude was that they came into the club to do their bit of training, played their matches, and then buggered off. They just weren't interested in developing their own skills or any theory or anything like that." Charlton's views were not shared by everybody. Bob English, the long-serving physiotherapist who joined Leeds United in 1957 recalls; "The club was not in a good state before Don Revie took over. There wasn't much enthusiasm, I didn't think. "Jack Taylor was a nice man, don't get me wrong, but he didn't crack the whip enough. Training was slack though Don Revie, as a player, was a great fellow as far I am concerned ...he was one of the ones that really did train. But Taylor never came out to watch people training. I think I remember him only once getting out his tracksuit and coming out to join us. But when Don took over, he was out leading them on." Don Revie had been signed by Bill Lambton and was one of the few big names at the club, though Lambton's focus on youth had unearthed a player who was set to emerge as a major star of the next twenty years, Billy Bremner. The teenager, however, was not impressed by what he found at Elland Road: "It just wasn't run as a professional football club. To go to see Mr Taylor: Christ, you had to go through one secretary, then another, and finally you would get to the third secretary and she would say he couldn't see you. The only time you ever saw the manager was if you travelled with the first team on a Saturday. Training was just doing laps... a kickabout with a ball... no ball on a Friday... just sprints." Nurturing new talent was a key responsibility of one of Jack Taylor's new appointees, coach Syd Owen, who had joined from Luton Town where he had had won the Footballer of the Year award and briefly been manager. Owen insisted on bringing trainer Les Cocker with him, but for all their good work, Leeds drifted down the First Division and towards relegation in 1959-60. Although young and inexperienced, Bremner was shocked by the ramshackle organisation at Leeds United. "We went to play a crucial game towards the end of the season at Blackburn Rovers. I remember wondering where we were going to eat. In the end we stopped at a cafe and had beans on toast. It was all a bit of a rush ... yet this was the most important game of the season." The rot had set in at Elland Road before Taylor arrived and there was seemingly nothing he could do to improve matters as Leeds United slumped inexorably back towards the Second Division. John McCole, a powerful, confident striker signed for £10,000 from Bradford City, became Leeds' third centre forward in three seasons after Alan Shackleton's sudden move to Everton in September 1959. One could not have asked for more than the 22 goals he scored in 33 matches, but he got scant support. Irish inside forward Noel Peyton, with five, was next highest scorer. The old defensive guard of the 1950s, save for Grenville Hair and Charlton, was no longer in place. Taylor tried several unsuccessful combinations and the belated signing of Freddie Goodwin, a stern, robust stopper from Manchester United, in another £10,000 deal was not enough to save Leeds from the drop. They finished 21st, with 34 points. Taylor had a big clear-out that summer (including Wilbur Cush, Archie Gibson, George Meek and Jack Overfield) but United looked a very ordinary Second Division side, showing no signs of bouncing back. As Leeds floundered, disillusionment and cynicism deepened amongst spectators. Sometimes the players were greeted with cries from the terraces of "Here come the mugs". Taylor shuffled his pack of players once more and brought in several new recruits of modest ability, few of whom seemed passionate about effecting a revival. Injuries also sabotaged his plans. One newcomer, Eric Smith, a hard tackling wing half, who had signed from Celtic, was appalled by the apathy he found. "The players were undisciplined," Smith recalled. "It wasn't their fault - Jack Taylor was the manager, but had let things go. I certainly didn't expect what I saw in the first three or four days. We would go on long training runs and players would walk in with ice lollies in their hands." As Leeds United stumbled erratically to the lower reaches of the Second Division, the directors held a meeting and decided that Taylor's time was up. The most influential of their number, Harry Reynolds, who later took over from Sam Bolton as chairman, met Taylor and told him he was going to suggest to the board that it was time for him to go. Despite the fact that Taylor had another year of his three-year £2,000 per annum contract to run, he resigned on 13 March 1961. While two days earlier, Leeds United had scraped a 1-0 home win against Norwich they had lost the previous four matches, conceding 13 goals and scoring only four. It was a disappointing end to Taylor's regime, one which had started with no shortage of optimism. After the debacle during Lambton's time in charge, the board had hoped that Taylor's steadying hand would be sufficient to turn around a desperate position, but the damage had already been done and it would take a greater influence than Taylor's to resurrect the failing club. That influence was already within the club and it was only days after Taylor left that Don Revie was appointed player manager and a footballing revolution was born. Jack Taylor drifted out of full time football after his departure from Leeds, but remained in Yorkshire. He died in his home town on 22 February 1978, one week after his 64th birthday.